Its been long that we hear about wearable devices from big brands like Google, Samsung, Apple and LG. Now the software giant Microsoft is entering into this space. They will be introducing a new product to the market this year. Microsoft’s watch is reportedly found surprising with capabilities of measuring heart rate and syncing with iPhones, Android phones and Windows Phones. Forbes published the the news and was termed “surprising,” that may be a bit of a stretch. It seems that the fact behind this "surprise" was not deciding to introduce such a product but that it has taken this long for the news to leak the news to market. According to the post, the smartwatch will use Microsoft’s Xbox Kinect division’s expertise to measure heart rate with a battery that will last for 48 hours. Microsoft has been considering to grasp the newer technology trends by introducing newer products. Its also been reported that this smartwatch will be able to sync with other smart devices from various rival brands available in market. 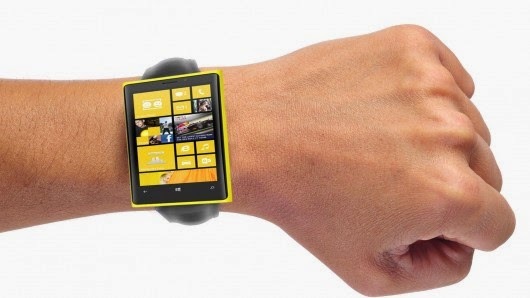 We know the fact that consumers are looking at other companies before turning to Microsoft for these kind of wearable products. It will be a tough job for Microsoft to make some of those customer motivated in buying its products. As of now it can be predicted that the highly expected things from Microsoft's wearable devices will be price, functionality and features. Though it may surprise us with much more unexpected things also once it launches in the market.